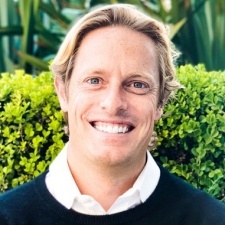 AI tech platform Influential has hired Andrew Pelosi to fulfill the role of chief business officer at the company. Pelosi will be in charge of Influential's business teams and partnerships, which includes its recent partnership with WME. His responsibilities will include bringing social strategy, data, paid media and sales conversions for the entertainment agency. Before joining Influential, Pelosi worked as VP of business development at World Surf League. He brings over 10 years of biz dev experience to the new role at the IBM Watson developer partner. "This is a great hire for our rapidly expanding and hungry Influential team. Andrew's experience creating partnerships, creating new business opportunities and his overall passion for the work fits our mold here," said Influential founder and CEO Ryan Detert. "We've had a fantastic year by way of funding, partnerships and more. Andrew will certainly add to the momentum of 2018 and into 2019." Pelosi himself added: "Influential has only begun to scratch the surface on what is possible with leveraging IBM Watson. The team has built an incredible technology that offers measurable value to brands. I am pleased to join an outstanding group of executives and look forward to working with them to grow the business."